King Philip will once again be looking to unseat Franklin from its place at the top of the Kelley-Rex division and the Warriors will be counting on senior attacker Katie Crowther to provide the goals that will make a title run possible. Crowther enters the season as a three-year starter for KP and helped the Warriors pull off a pair of upsets in last year’s Div. 1 East tournament to build momentum coming into a new season with a new coach. The Southern New Hampshire University-commit scored 80 goals, recorded 21 assists, and added 29 draw controls last year, as one of the league’s most dynamic scorers. She already has more than 210 goals in her KP career. While reigning league MVP Sophia DiCenso steals many of the headlines, Foxboro junior Meghan Curran was also a standout attacker for the Warriors last season, on her way to a second-team All-Eastern Mass. nod and a place on the HockomockSports.com First Team. Curran scored 48 goals and recorded 42 assists for the Davenport champions and her playmaking ability helped the Warriors reach the Div. 2 East final for the first time in program history. With Curran and DiCenso leading the attack, Foxboro boasts one of the league’s most fearsome offenses and the duo has the Warriors thinking of going a step further this spring to bring home their first sectional title. 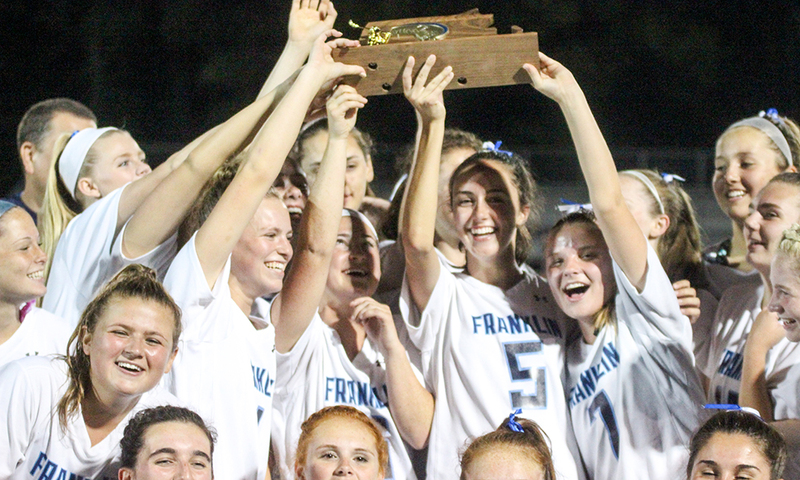 Foxboro junior attacker Sophia DiCenso already has plenty of silverware in her trophy case, including the 2016 HockomockSports.com Underclassman of the Year award, last season’s Hockomock League MVP and being named to the All-Eastern Mass. first team. The Warriors won a sixth straight Davenport division title last spring with DiCenso recording 58 goals and 24 assists to power the offense. Her quickness, stick-handling, and vision make the University of Richmond-commit a constant menace to opposing defenses and she should be in the running for Player of the Year again this season as Foxboro makes a run not only at a league title but at a first Div. 2 East crown as well. There have been some significant losses in the Sharon program heading into the new season, with head coach Colleen Carchedi heading to North Attleboro and last year’s Player of the Year Alex Rabb at Ithaca, but junior attacker Emma Eberhardt is back and has the chance to emerge as both the Eagles’ top scoring threat and as one of the top attackers in the league. The Lehigh University-commit has a unique combination of size and speed that makes her a constant scoring presence in and around the goal crease and gives Sharon an enviable target to run offensive sets through or to look for in the transition game. The midfield combo of Eberhardt and senior Sabrina Robbins will be hoping to keep the Eagles in the mix for the Davenport title and a playoff spot. Attleboro is coming off a rebuilding year under first-year head coach Kevin Patton, but the Bombardiers have confidence in their improvement this spring and one of the reasons for that enthusiasm is the development of junior midfielder Kyra Lyons, who is in her third year on varsity. Lyons brings energy to the Bombardiers squad and also showed a good finishing touch in front of goal. Although Attleboro struggled to score against some of the better defensive sides last year, Lyons showed the ability to find space and create looks for her teammates. Voted an honorable mention for all-star last spring, Lyons will be hoping to keep improving as an individual and help the Bombardiers improve as a team. Oliver Ames narrowly missed out on a first state tournament appearance last spring and one of the main reasons for the Tigers’ emergence in the Davenport division was the play of junior Olivia Piazza. As a sophomore, she scored 47 goals and recorded 10 assists from her midfield position and her improvement as a playmaker and scorer has OA thinking about breaking through and getting into the postseason this year. The Merrimack University-commit is an all-around performer for the Tigers, adding 32 ground balls and 74 draw controls to her scoring punch. Her tenacity on the defensive side of the ball is contagious and the Tigers will be expecting Piazza to be a leader as OA tries to climb up the league standings. North Attleboro senior midfielder Mackenzie Rosenberg has been terrorizing opposing defenses since breaking onto the scene two years ago and each season the Trinity University-commit has improved her scoring total. This year, with a new coach and several new faces in the lineup, Rosenberg’s two-way ability will be critical for the Rocketeers to continue the program’s upward trajectory, which includes playoff wins in each of the last two seasons. Rosenberg scored 77 goals and added 33 assists last spring and those numbers may be hard to replicate as North gets used to a new system, but she should be among a handful of players in the running for MVP and Player of the Year by the end of the season. Not many eighth graders can step into a varsity roster and immediately contribute, let alone become one of the league’s top scorers, but that is exactly what Taunton freshman Alana Tavares did last year. With a year under her belt, Tavares will be looking to take her game to the next level as the young Tigers program continues to improve. Last year, Tavares scored 64 goals and recorded 13 assists, while also grabbing 83 draw controls and a league-best 79 ground balls. 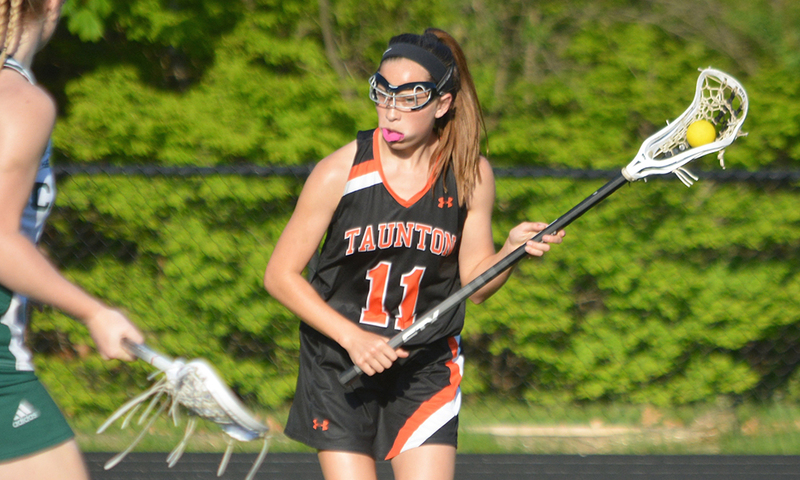 Tavares will not be sneaking up on anyone this spring, but her speed and finishing ability should keep her among the league leaders as Taunton tries to make a run at a playoff spot.